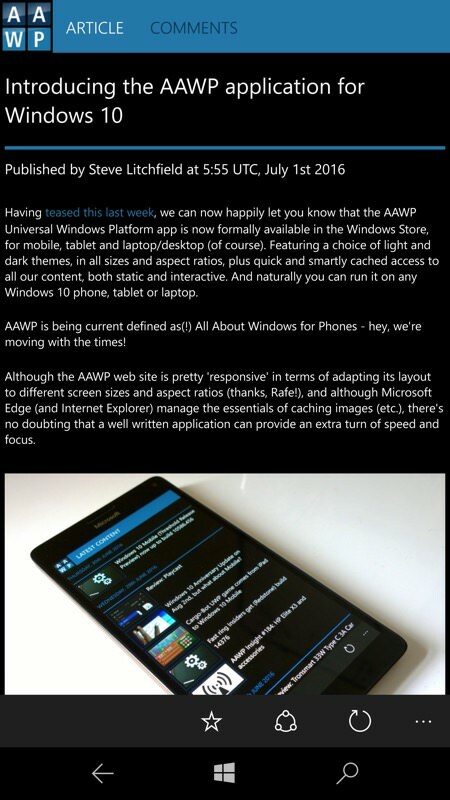 There has been another update to AAWP's own much praised application for Windows 10 Mobile. V1.2.3.0 adds the much requested live tile support, as I show below in screenshots. This is surely the fastest way to find out about new AAWP content? Thanks as always to Joe Blumenow, the developer. 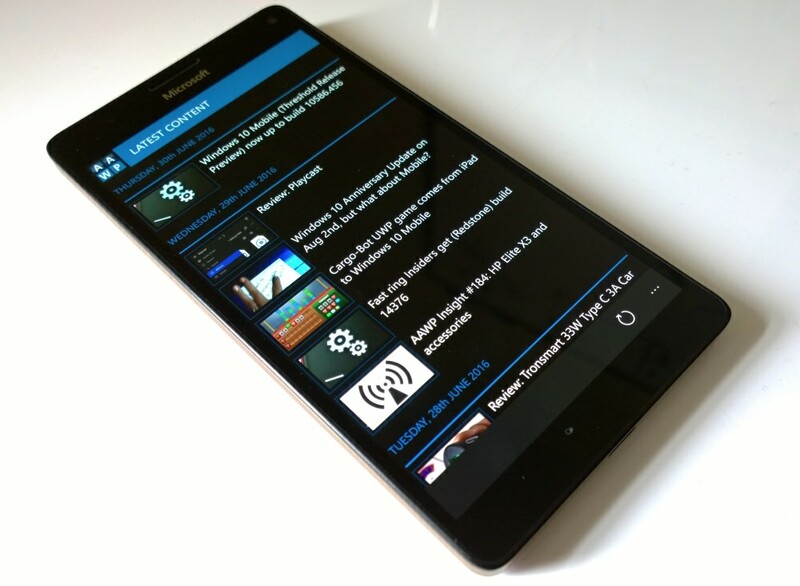 Improvements to live tile and notifications, which should update more reliably now. 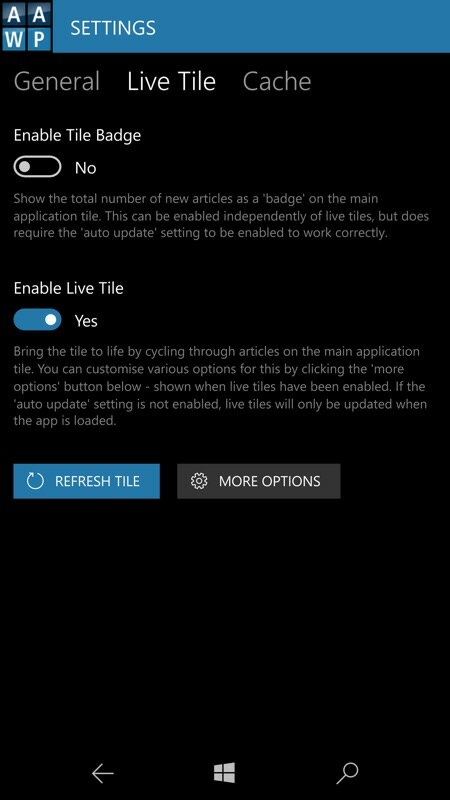 Added an option to keep live tiles 'alive' by showing recent articles on the tile when there are no new article notifications to display (enabled by default). Tidied up all the live tile settings to make it a much simpler process to just enable live tiles. Various options are better setup by default, but all options are still there to change as you like (via 'more options'). Given the settings page a good old tidy up. Moved 'Live Tile' and 'Cache' options into their own tabs. Help, About and History have now been moved to their own separate page. Article text resizing is here! 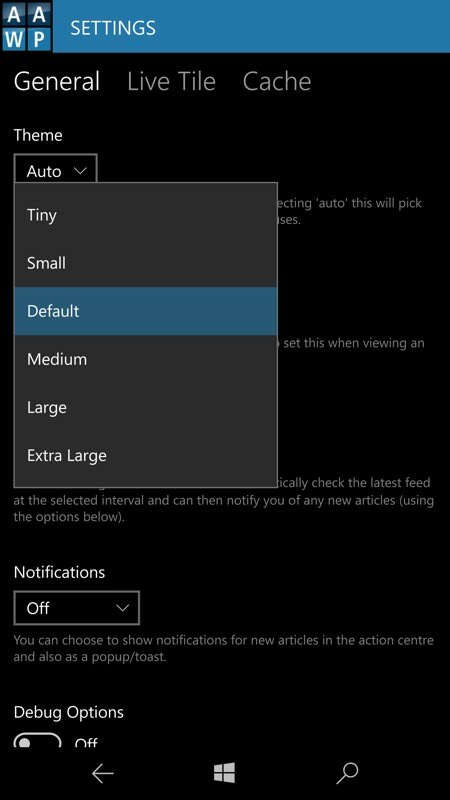 You can set the text size from the Settings > General page or in-context while viewing an article, which gives you a bit more control. Still needs a bit of work, but the basics are in! Tided up the article command bar buttons. Moved 'open web page' into secondary command list. Fixed an issue with article publish date, which was not always being shown in UTC (even though it was labelled as so). Improved design of the 'zoomed out' list on feed pages, so it's more in-keeping with the 'zoomed in' list view. And loads more little tweaks and improvements. Please note that text resizing is still very "version 1" at the moment and improvements are coming! Do feed back your comments so far, to Joe, below. You can grab 'AAWP Universal' from the Store here, it's a free download. Another 250 or so downloads this week - taking lifetime downloads to just under 1250 now. Over 8,000 sessions in the last week. ...and the largest! (right) Live tile options are now helpfully split out, plus the advanced stuff is all hidden under 'More options'! Why not add your own rating of 'AAWP Universal' in the Store and leave a text review? It all helps discoverability! PS. By the way, aside from Rafe being in the podcasts, virtually all the content for AAWP is now being written by me, as you've probably gathered. I/we'd love to have some more guest articles, especially over the summer, so do please get in touch if there's a topic, device or application that you feel strongly about. You can reach me at slitchfield@gmail.com .